A showcase stateroom of what the enhancements will be on Wind Star. Windstar Cruises, the leader in small ship cruising, continues to evolve its fleet with three million dollars of stateroom upgrades scheduled for Wind Star and Wind Spirit, the two smallest sister yachts of the fleet. Wind Star’s 72 guest staterooms will be renovated in a dry dock this November (one stateroom was already completed as a model showcase room). Wind Spirit is scheduled to have its 73 staterooms completed in April of 2015. The current layout will be transformed with a sofa where guests can relax, watch TV or catch a cat-nap to replace the previous desk and vanity set-up. When room service is ordered, or if guests want a place to write, the middle section of the sofa converts into a table, with seats at each end. Additionally, the center dresser located next to the bed will be exchanged for a chic new dresser that will give guests more open room. Before and after pictures of the mock-up stateroom can be viewed on Windstar’s blog. Staterooms on both yachts were previously enhanced as part of Windstar’s $18 million fleet-wide renovation project in 2012. 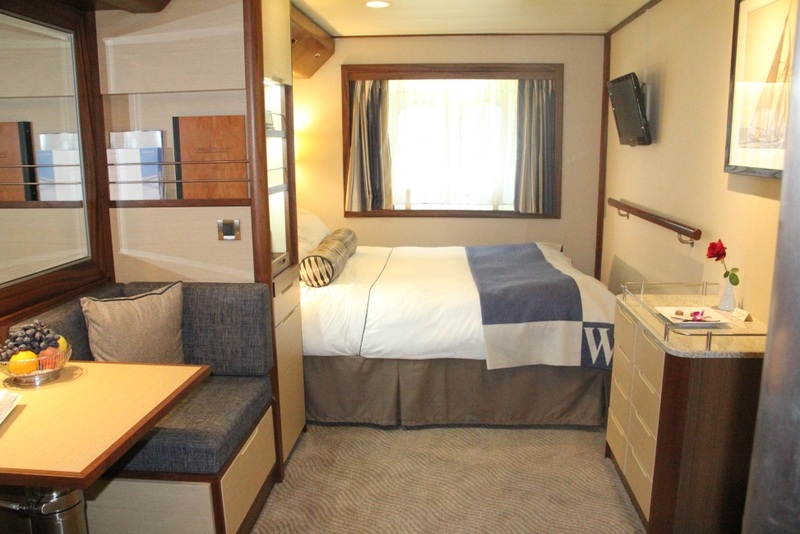 Across the fleet, staterooms were updated with leather headboards, stately arm chairs, linen wall coverings, new lighting features, elegant window coverings, plush wool carpeting, art work, and stylish bed cushions. Corridors were completely renovated from floor to ceiling with new wall coverings, carpeting, ceiling finishes, lighting, and art work. While Windstar’s sailing yachts continue to evolve with the latest trends in the luxury market, Windstar Cruises is also preparing for Star Pride, the first of the company’s three new power yachts, to enter it’s month-long dry-dock in April 2014, before sailing the Mediterranean in May of 2014.